The Oilers have finally fired Dallas Eakins today and reportedly MacTavish will step back behind the bench as the interim head coach until the team can find a more permanent replacement. The #Oilers have relieved Dallas Eakins of his head coaching duties. GM Craig MacTavish will address the media at 11:45am MT. There is also talk that perhaps Todd Nelson could join the team and I for one would be a fan of that move. MacTavish to coach, but there are also discussions of Todd Nelson maybe joining the bench, too. 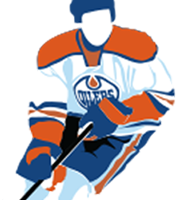 Nelson is AHL coach for Oilers. In the press conference MacT announced that he will be stepping into the head coaching role solely as a transition to Todd Nelson who will take the job for the remainder of the season. I’m a fan of Todd Nelson so its nice to see him get a chance, and to be honest I think that he has a great opportunity here. The team is better than the record suggests and is bound to turn things around as the lucky bounces start to go their way so Nelson should be more than capable to post a much better record for the remainder of the season than Eakins had for the first portion. We’ll see if its enough to turn this into a permanent role, but I for one will be pulling for him. This entry was posted in Coaches, Uncategorized on December 15, 2014 by jtunnicliff. Hello Chris, thank you so much for doing this ride.I am a member of the Motorcycle Ride for Dad team Kingston-Quinte(fight agnaist prostate cancer). I also have M.S and my friends and the MRFD team will be there to support you. Ride safe my friend. what a joke organization. Souray, Quinn, Pronger, Belanger were all right. Eakins is not what the problem is. He is good. Changing coaches all the time; the players do not know what to do. Maybe need to bring back Wayne Gretzey for coach. Maybe he can figure things out. McTavish is not the answer either. Get something positive done soon. lol… Really? Bring Wayne Gretzky in to coach? I’ll assume you’re kidding. You are right though that this season isn’t all Eakins fault, more heads will role imo.